SATO RACING Race Stand Hooks for 2017-18 BMW S1000RR and S1000R allow you to quickly mount the bike onto a spool-type race stand. Made of high strength billet aluminum anodized in a gold finish, with stainless steel bolts. 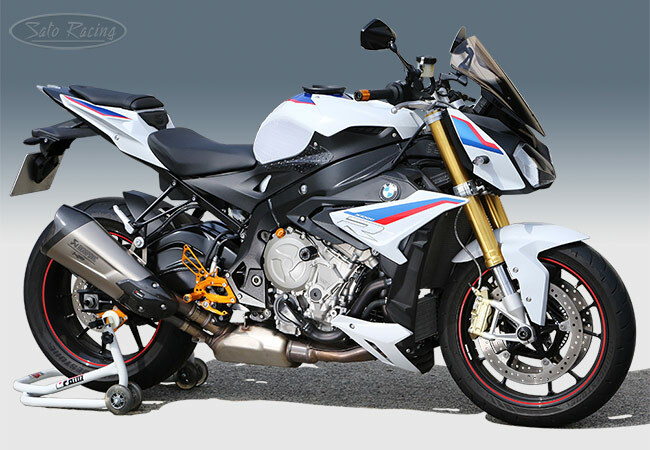 2018 BMW S1000R with SATO RACING Race Stand Hooks and other parts.